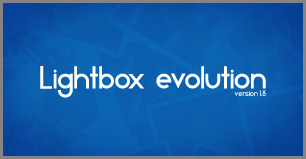 Lightbox Evolution is a tool for displaying images, html content, maps, and videos in a “lightbox” style that floats overtop of web page. 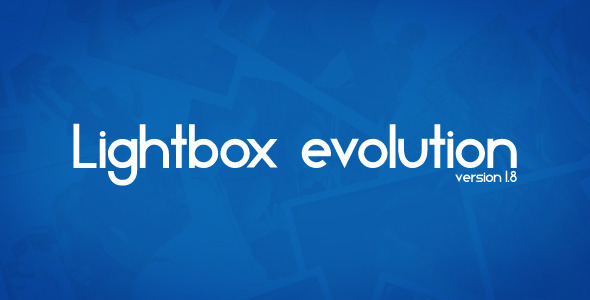 Using Lightbox Evolution, website authors can showcase a wide assortment of media in all major browsers without navigating users away from the linking page. If you have any questions, please contact me from my profile page here. * Fixed multiple galleries bug. * Added youku.com video server. * Fixed '__flash__removeCallback' is undefined error in all versions of IE. * Fixed data-options bug with malformed JSON. * Now you can change the duration of the transition "loading". * Added retina support to default theme. 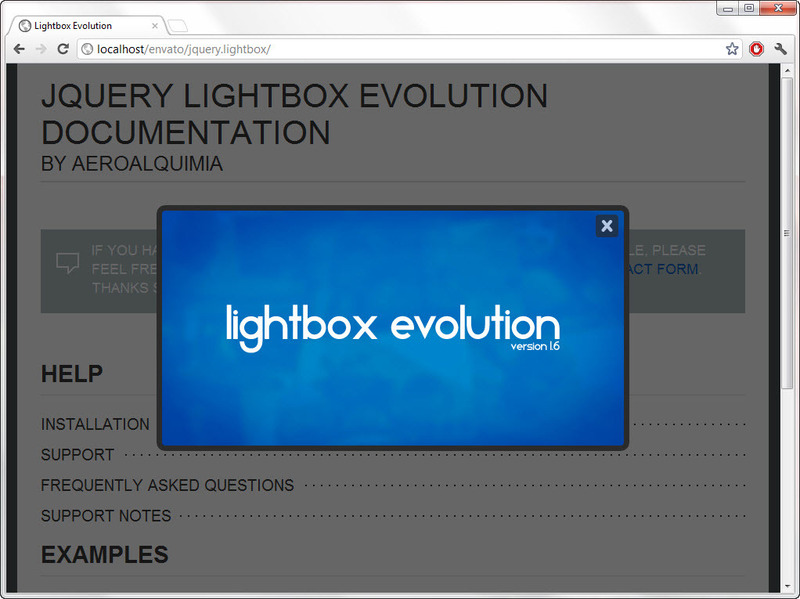 * Added retina support to evolution theme. * Added retina support to carbono theme. * Changed default animation. Now is a little less funny. * Now autoresize=false only deactivate the max/min button. * Fixed '__flash__removeCallback' is undefined error in IE9. * Added preloading images in the gallery. * Added max size of videos, if the size is not defined by the user. * Removed GoogleVideos and Gametrailers video servers. * Dropped support for jQuery 1.3. * Improved regex of image detection. * Added Adobe Director support. * Fixed Chrome bug scroll with percentages. * Fixed IE7 Bug buttons div doesn't hide when is empty. * Fixed title is undefined. * Fixed esqueleto.move opacity bug. * All gallery system was changed. * Fixed bug on custom buttons. * Fixed Dual script calling on Chrome 9+. * Changed context of onOpen event. * Critical: Changed the name of some properties. * Fixed scrollbars bug with Right-To-Left text. * Fixed IE9 Iframe 'feature' AKA Bug. * Fixed youtube videos don't play on iOS. * Fixed calculation of the size on iOS. * Added better events on iOS. * Fixed 'evolution' and 'evolution-dark' theme. * Fixed Maximize bug on IE. * Added a better mobile device detection. * Removed Megavideo embed code.